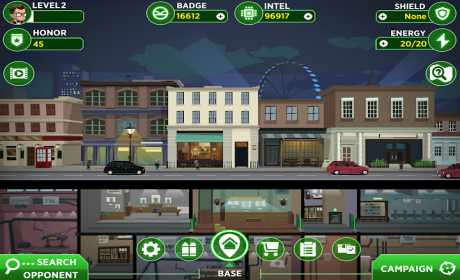 Build and defend your Kingsman base while infiltrating the world’s most dangerous crime syndicates with your arsenal of stylish weapons and gadgets. Test your fellow Agent’s security measures and attack their base to recover valuable Intel during online PVP matches. 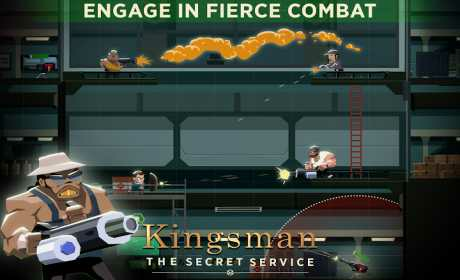 * Engage with fan-favorite characters such as Eggsy, Harry, and Merlin while challenging the toughest Kingsman villains including Poppy, Gazelle, Valentine, and more! 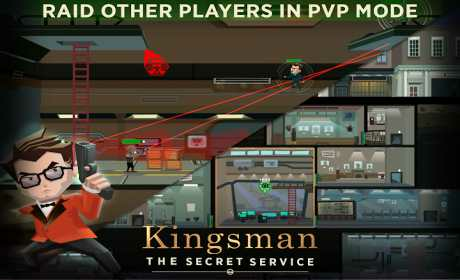 * Construct your Kingsman base with a wide variety of secret rooms and defenses including lasers, cameras, sentry guns, and guards. * Raid player bases in PVP mode to earn rare and unique rewards after successful infiltrations. * Expand your armory with more powerful weapons and gadgets. Level them up to increase their strength and effectiveness in the field. * Earn achievements by killing enemies with stealth, or by discovering all the hidden intel.